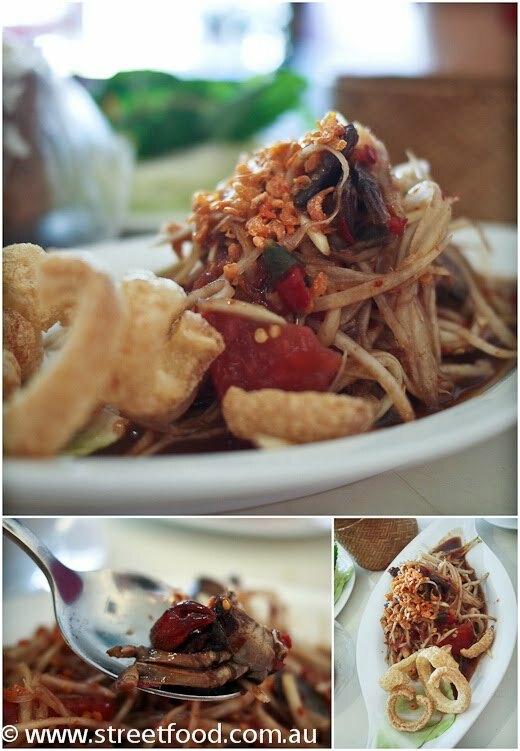 Miss Chicken's magic food beak takes us to 3 Hippos Thai & Lao Restaurant on Canley Vale Road, Canley Heights. 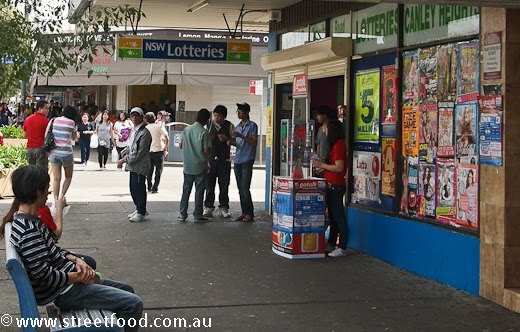 The locals are out for lunch, doing the groceries, Canley Heights has a relaxed vibe on a sunny spring Saturday afternoon. Choosing where to eat isn't easy. There must be a dozen great looking Vietnamese joints in this small strip of shops. Miss Chicken's sixth food sense hones in on 3 Hippos Thai & Lao Restaurant. The joint has a basic but modern, clean, bordering on funky fitout, and the little album of food photos is so cute. 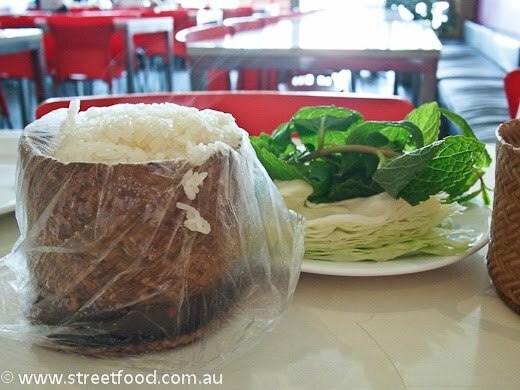 Sticky rice, $3 and salad\herb fixins for making little wraps, all essential with any Lao feast. 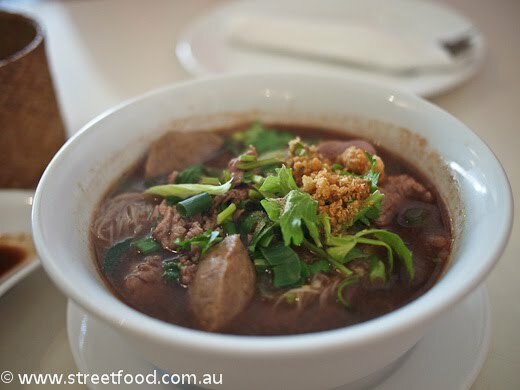 Tom Saap - Lao Spicy Combination Beef Soup - $10. A lovely beefy broth, vermicelli noodles, beef and various cow related nibbles of joy. Delicious. 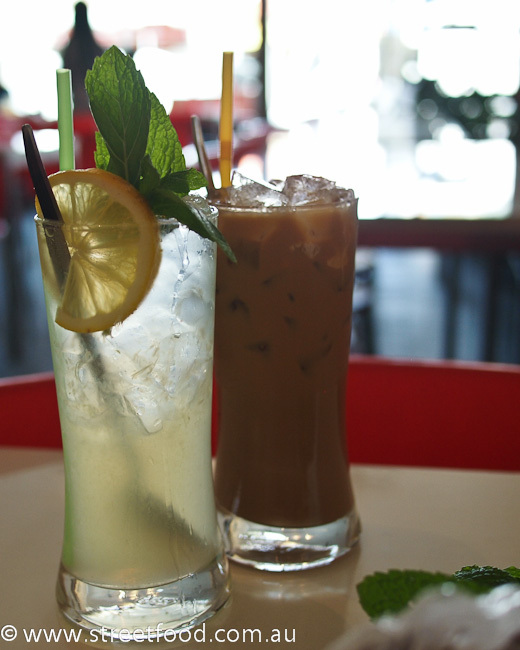 Fresh lime soda and ice coffee. Both were authentically super sweet. Icy drinks seem to be a specialty here, we noticed other diners with tall drinks of many bright colours, folks were getting them takeaway too. 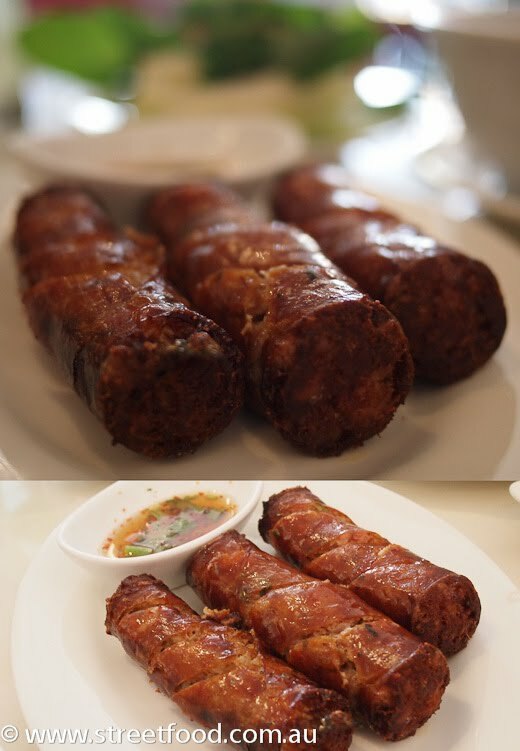 Saiy-Oua - Lao Sausages - $8. These remind me of Northern Thai\Chang Mai sausages, this dish is quickly becoming a new favourite of ours. Som Tum Lao - Lao Papaya Salad - $8. Lovely and fresh with a unique fishy flavour, probably from the little crabs. Tiger Tears - Grilled Beef $8. 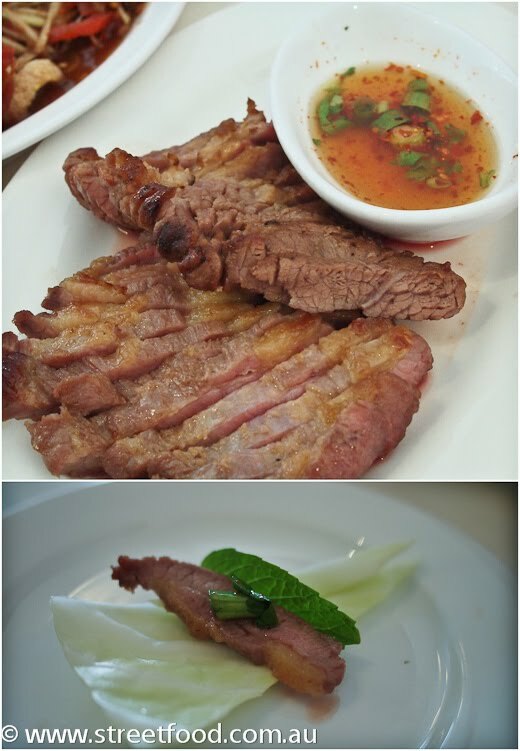 This tasted like slice marinated steak, it was plain but worked well with the other spicier dishes. Extra delicious when wrapped up in some cabbage with a mint leaf. 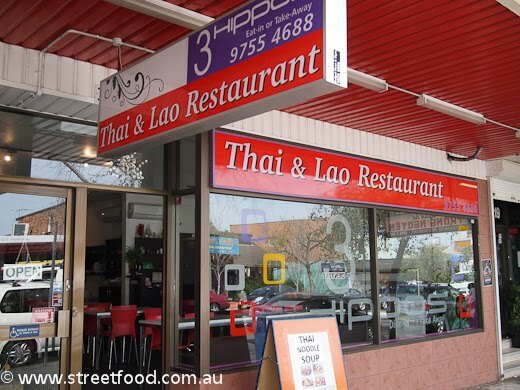 3 Hippos Thai & Lao Restaurant is at Shop 3 / 219 Canley Vale Road, Canley Heights. Ph 9755 4688. Open 7 days 11am till late. 3 Hippos Thai & Lao Restaurant Menu - Click to Enlarge. adore the simplicity of 3 Hippos! 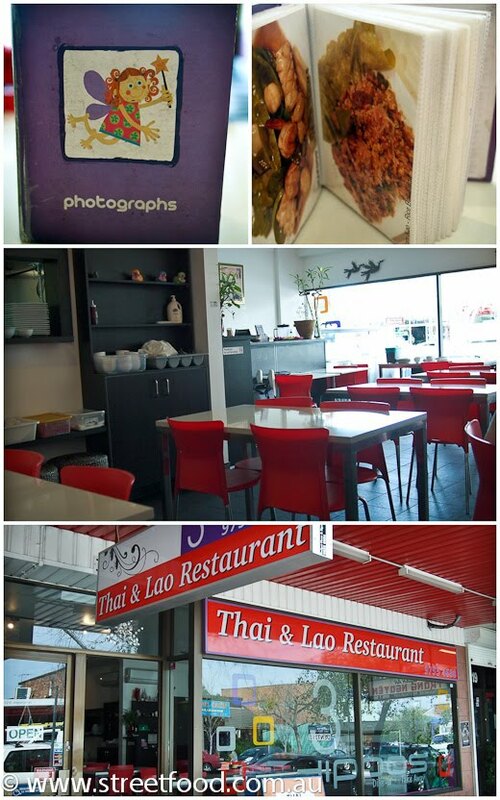 LOVE the food, its the most authentic lao/thai in canley heights & best of all the price is very affordable. would recommend to everyone! Ah poo... Thanks for letting us know, much appreciated!